Bodu Bala Sena (BBS) General Secretary Ven. 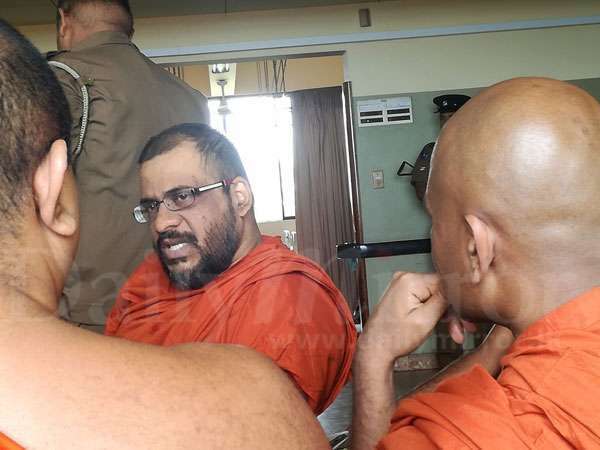 Galagodaaththe Gnanasara Thera had been admitted to the Sri Jayewardenepura Hospital a short while ago after he was brought to the hospital for medical tests, BBS media unit said. 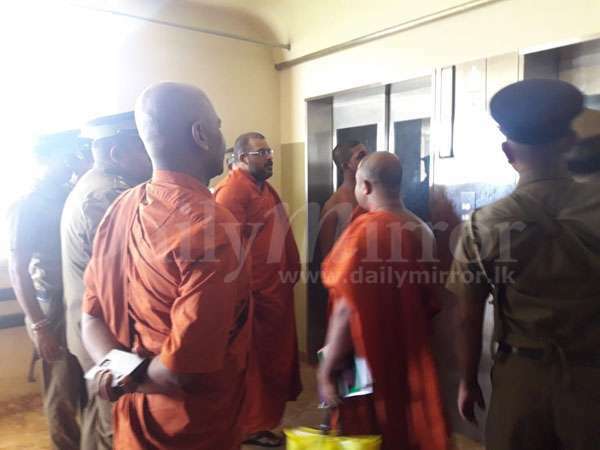 They said the Thera was brought to the hospital from the Prisons Hospital this morning due to a bad health condition and also to undergo medical tests. Thousands of prisoners have bad heath but never heard they have this kind of special treatment.treat all prisoners equally.otherwise jail the prison authorities for braking law. Just wondering the capabilities of the surgeon and staff. 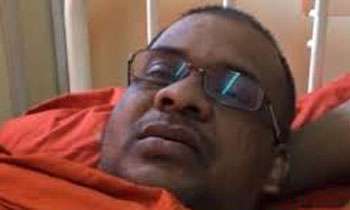 This prisoner seems to be continuously in hospital after the procedure.Its time to seriously question if the surgery went well or is he faking symptoms. Test him for hate factor, self importance factor and tendency for violence along with other checks. What a joke! this what our justice system have come to. You still have to give some credit to the current govt. The Judge who gave the prison sentence would have been “fixed by” the white van by now under the last govt!! Release him then all sicknesses will vanish. It is time these monks are put on very basic of meals as they all look so well fed at the expense of poor average man or a woman. 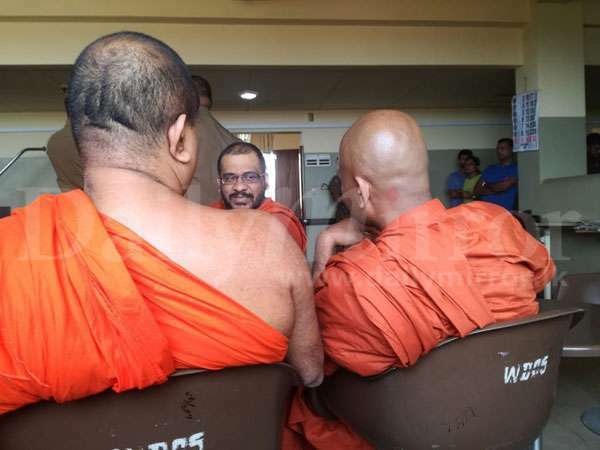 Even within the prison monks are expected to follow their committed disciplines. How did he neglect shaving? Did he relinquish his status as a priest?. He would do a service to Buddhism if he did. Now it is like a teledrama weekly shown on TV. It seems Sri Lankans enjoy this drama series. Isn't it a rule to wear a prison jumper kit when one is convicted? It's all a big show to get the sympathy of all and sundry!!! A lie detector machine should be installed in prison. He is undergoing therapy for hating people treatment no doctors, under going with capabilities of the surgeon. On a human note wish you a speedy recovery... Guess your hostel stay would transform you to be a good, sound, sensitive human being. May the Almighty guide you on the right path.